It was a clear day today with no cloud suitable for taking outdoor pictures. 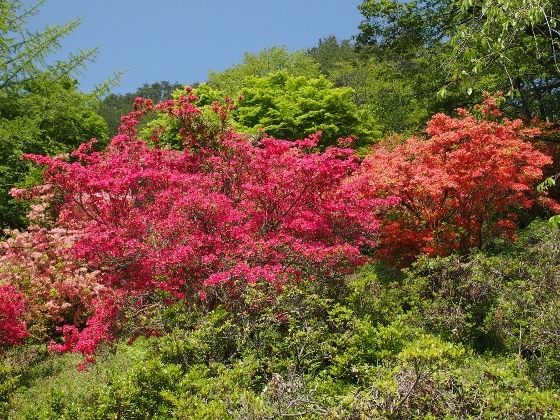 I visited two of wild azalea mountains in southern Fukushima: Yamatsuriyama Park and Furoyama Park. 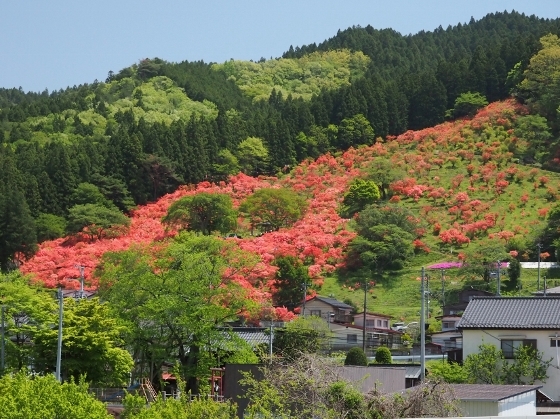 The picture above shows a spectacular view of Furoyama Park in Hanawa Town with its thousands of wild azaleas in full bloom. 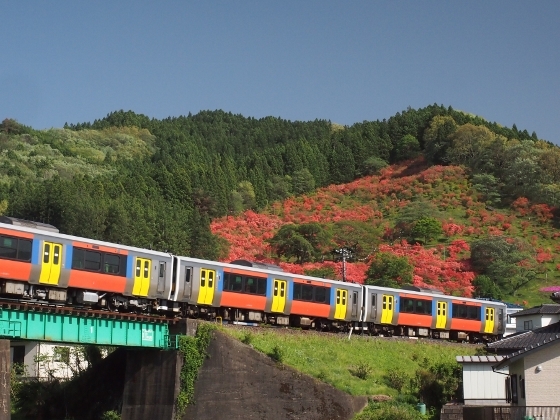 JR Suigun Line runs nearby with its colorful body as shown in the picture, so everyone can see the view from train. 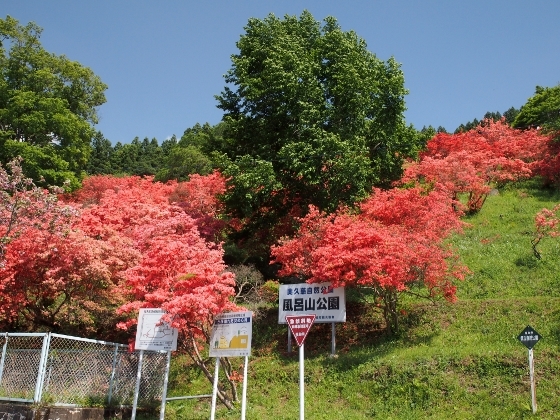 At first I visited Yamatsuriyama Park in Yamatsuri Town which was a southernmost town in Fukushima Pref. 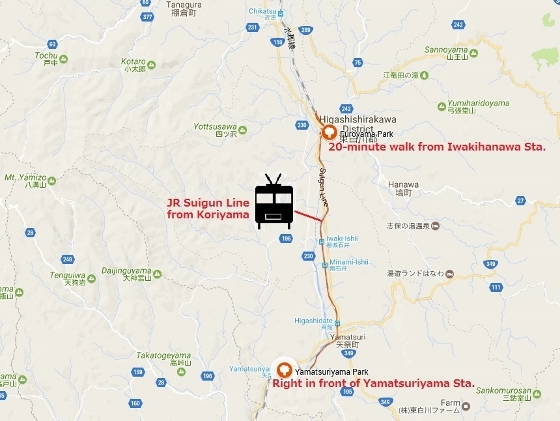 I took JR Suigun Line to Yamatsuriyama Station which was also the southernmost railway station in Fukushima. Yamatsuriyama Park is located right in front of the station. 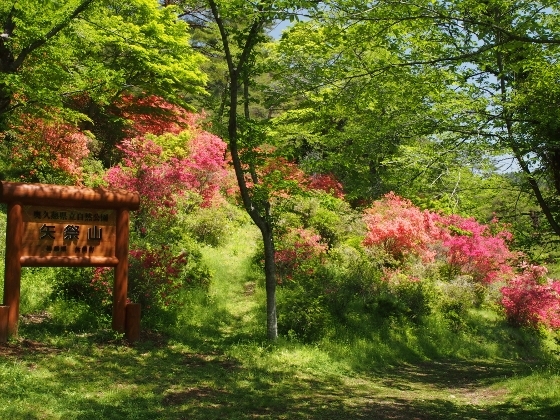 Some of wild azalea views on the mountain slope within the park are shown above. Then I took another ride on JR Suigun Line to the north and got off at Iwakihanawa Sta. Furoyama Park is about 20-minute walk from here. 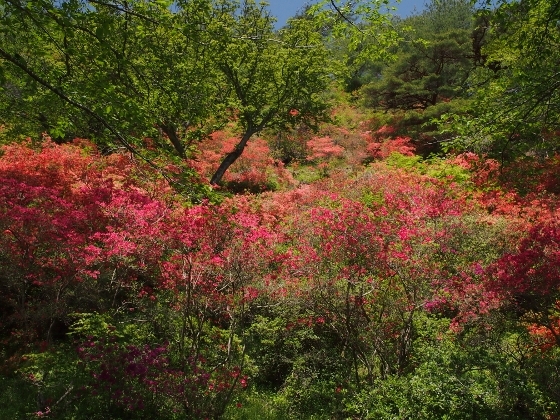 Photo above shows another whole view of the mountain slope from different angle also filled with wild azaleas in full bloom. 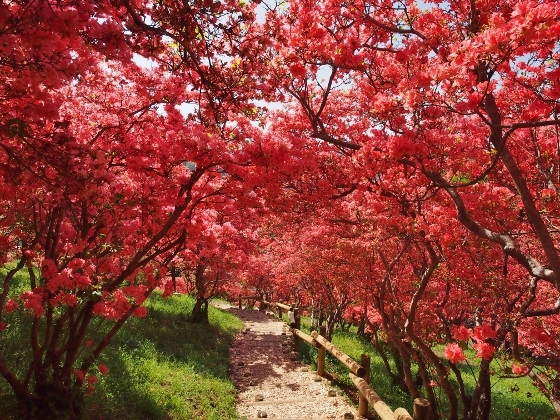 There were many red tunnel trails under wild azaleas as shown above. 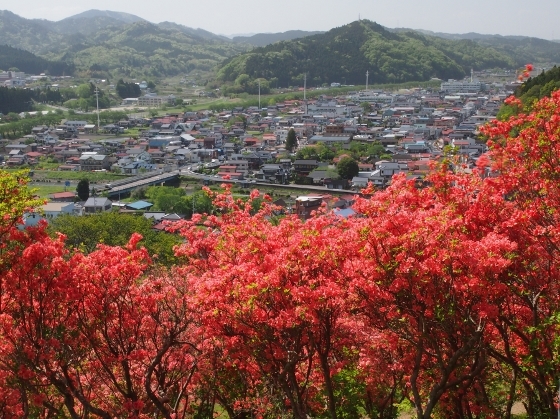 A view of Hanawa Town could be seen from upper part of the slope. 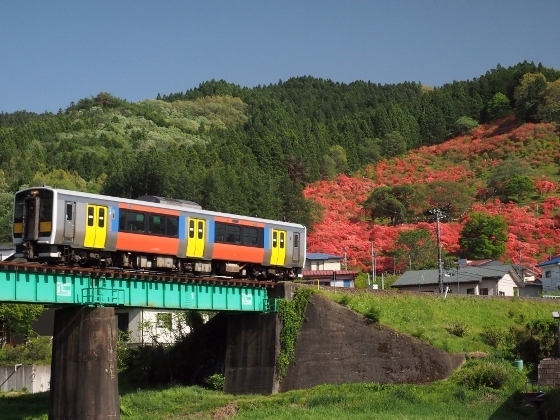 Photo above shows a single-car train of JR Suigun Line bound for Koriyama travels by the foot of Mount Furoyama.